Size – The size of your driveway will be a major factor in determining how much you ultimately need to pay. Keep in mind that most companies have a minimum area that must be covered. Material – There are many different types of material that you might use to cover your new driveway from asphalt to concrete. Some are more expensive than others. These are the two major factors that will determine the cost of concrete driveway, but also keep in mind that you do not want to offset the cost by installing it yourself. It may look simple, of course, however it is anything but. Rather, you will find that the installation is a considerable amount of work, and without professional installation you may find that it develops problems later on. A driveway that develops issues is your own problem if you perform he installation on your own, but a professional team will return, address the problem, and give you the driveway you need. Remember, the driveway is the first thing people see when they bisit your home – make it look good. 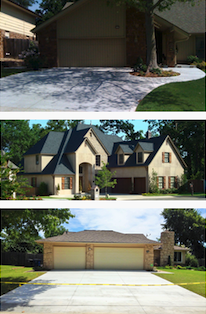 Call (918) 960-1440 today and get your free quote. Over 300 Happy Driveway Customers! 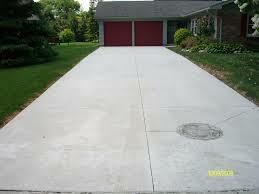 We have a 600 square foot minimum and accept cash, check or money order made out to LCI Concrete. We also accept Visa, Mastercard, AMEX and Discover with a 3% additional charge. We do not require any payment until your job is completed! © 2019LCI Concrete | Proudly powered by WordPress | Theme by Theme Farmer.